Home » Languages » English (Sr. Secondary) » Essay on “A Dramatic Performance in Our School” Complete Essay for Class 10, Class 12 and Graduation and other classes. Essay on “A Dramatic Performance in Our School” Complete Essay for Class 10, Class 12 and Graduation and other classes. On annual function we decided to stage a drama. The choice of play fell upon me. Within a few days I wrote the drama and named it “The Struggle of a Boy”. Now the problem of selection of actors arose. Our music teacher took this work in his hand. He selected me for the role of hero. He selected other senior students for other characters. Shri Raj supervised the whole show. Exactly at 6-30 p.m. the first bell rang. The hall was full of guests. The volunteers were helping them in finding out their proper seats. The crowd filled our hearts with pride. After the second bell the Principal went up to judge the performance speech requesting the people not to judge the performance critically. On his request the District Judge performed the opening ceremony. The curtain arose and the drama began. In the first scene a boy of six years old was wandering in the street of a village. He was weeping bitterly and following some villagers. He reached in the city. He was crying “O father, O mother”. He stopped front of a shop. The shopkeeper took pity on him. He kept him as a shop boy for his help. In another scene people clapped loudly when they saw the boy holding his book in one hand and doing work with the other hand. With the help of customers the boy learnt different subjects. His efforts to learn bore fruit. After interval the boy took permission of his foster father to take the examination in the village school. Wonder ! the boy topped the list of successful boys. D.I.O.S. took him with him for further studies. The boy passed all the examinations of the school and college with credit. He got first class in M.A. examination. The Principal of degree college employed him in this college. At twelve the drama came to a close. The first prize was given to the D.I.O.S. for his helping attitude. The hero got second prize for his thirst for learning. The third prize was given to the shopkeeper. With the prize in my hand I (the hero of the drama) left hall for my house. Essay on “Tasks before the Indian Scientists” Complete Essay for Class 10, Class 12 and Graduation and other classes. Essay on “SAARC and the Male Summit” Complete Essay for Class 10, Class 12 and Graduation and other classes. Essay on “Indian’s unity at the cross roads” Complete Essay for Class 10, Class 12 and Graduation and other classes. Essay on “Indian Democracy” Complete Essay for Class 10, Class 12 and Graduation and other classes. 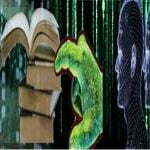 Essay on “Literature and modern technology” Complete Essay for Class 10, Class 12 and Graduation and other classes. Essay, Paragraph or Speech on “A Street Scene” Complete Paragraph or Speech for Class 10, Class 12 and Graduation and other classes. Essay on “National Science Day-February 28” Complete Essay for Class 10, Class 12 and Graduation and other classes. Essay on “Invention Of Computers” Complete Essay for Class 10, Class 12 and Graduation and other classes. «Essay on “Camp Fire Function in Our School” Complete Essay for Class 10, Class 12 and Graduation and other classes.